I must have done something right....I am on my last day in Germany before heading to Strasbourg, France and I have to mention the Guardian Angels that have looked out for me during my time here. 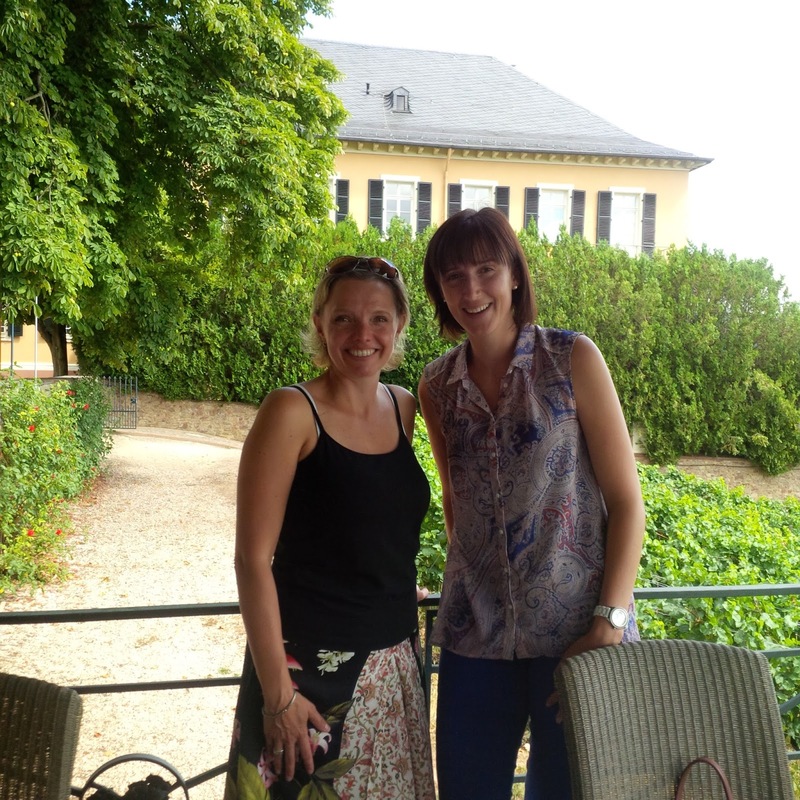 Guardian Angel #1: During my time at Mark Anthony Brands in Vancouver I meet the export manager for Henkell, Deinhard and Schloss Johannisberg wines, Melanie Stein. 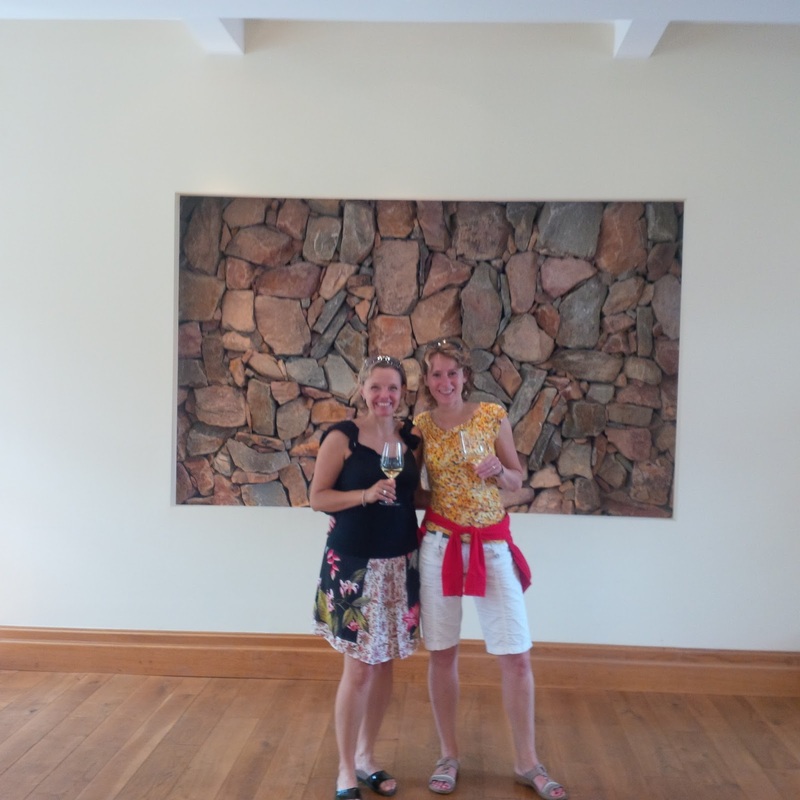 She offered to book me into tours in her wineries in the Rheingau and to assist in whatever way possible. She wasn't kidding! I was spending countless hours researching which other wineries in the Rheingau and the Mosel I should visit, where they were, was it possible for me to get there without a car, was there ferry or train service, what hotel to stay at etc....and I am not elaborating, the hours have been countless. Melanie was able to research and recommended wineries, passenger ferries and then referred me to her former colleague Matthias Walter who was the winemaker at Henkell for 10 years and is now living in the Mosel/Luxembourg area. My Guardian Angel #2: I sent a note to Matthias and he helped to successfully arrange tastings at some premium estates (previously entered in my blog). He also attending some of the tastings, picked me up and dropped me off at my hotel. It was great having him at the tastings to ask more technical and challenging questions at the wineries. Matthias suggested that while in the Mosel I should see some of the other nearby regions to compare their vineyards, soils, and wine styles. Of course I'm interested in that! He suggested that I check out a day early from my hotel and we head to his home in the wine region of Luxembourg and then visit a friend of his that owns a winery in the Saar region (pronounced Zar). He arranged for me to stay above his father's restaurant were he has hotel accommodations and then drove me to the train station so to I could get to Koblenz. He was pleased to do it and enthusiastic to share the wine culture of his home. Guardian Angel #3: I have a very good friend that lives on the west side of the Netherlands that drove into Germany to visit me for a girls long weekend. I met Jiska and her family when they were on a work exchange to Canada back in 2003. They moved back a year and a half later but have managed to visit each other a number of times since their move back. After leaving Luxembourg I took the train to Koblenz where I met Jiska and toured Deinhard (Koblenz), the Loreley rock (St. Goar), Montigny winery in the Nahe, Schloss Johannisberg (Rheingau) and the Rudesheim Wine Festival! And a 4th just showed himself, the city bus driver. I showed up to Hochheim train station just this morning and it was like tumbling tumbleweeds blowing by. The nicest bus driver, with some broken english helped me get as close as possible to my hotel. He even went to the extent of getting out of the bus at one of the stops to run into 2 businesses to ask if they have heard of my hotel and give me further directions. Incredible! I'm safe and sound. I cannot thank these angels enough for adding to my experience and the enjoyment of my time in Germany.